While the American Iron and Steel Institute has a very strict definition of carbon steel and permissible content levels for additional elements, the term is more broadly applied to all iron and carbon steel alloys where the presence of other metals is minimal. Carbon Steel – Block Steel Corp. In general, carbon steel is a very hard ferrous metal. As the carbon content varies, so do the properties of a specific alloy. Lower carbon amounts result in alloys with properties very similar to pure iron, but as the content raises hardness, corrosion resistance and strength are proportionately increased. High levels of carbon, however, decrease ductility, temperature resistance, melting point and fabrication possibilities. Steel service centers provide this material for a number of industries including construction, architecture, marine superstructure, automotive, electronics, aerospace and power generation among others. While some service centers provide finished products, many manufacturers purchase stock shapes such as bars, rods, tubes, plates, sheets, strips, foil, wire, billets, slabs and blooms. Additionally, ingots and powders are available for powder metallurgy applications. These stock materials are formed into a variety of finished products ranging from structural beams to automotive paneling. Also referred to as plain carbon steel, the variability of this material leads to a general classification system allowing manufacturers to select the proper alloy for a given application. Mild or low carbon steel is the most common form as it is inexpensive and highly malleable. The low tensile strength of this 0.05% to 0.15% carbon alloy, however, can be undesirable in some applications. Medium carbon steel has a carbon content of between 0.3% and 0.59%, providing a balance between strength and ductility. High carbon steel is composed of between 0.6% and 0.99% carbon, forgoing much of the ductility of iron in favor of high tensile strength. Ultra-high carbon steel contains approximately 1.0% to 2.0% carbon and is among the hardest metal alloys. The material commonly referred to as cast iron is actually a very high carbon steel alloy. Higher carbon content lowers the melting point, allowing for more fabrication possibilities. These possibilities generally include casting, forging, spinning, slitting, shearing, coiling, coating and cutting. Heat treatments such as annealing, quenching, martempering and spheroidizing are often used to further manipulate the mechanical properties of a given alloy. 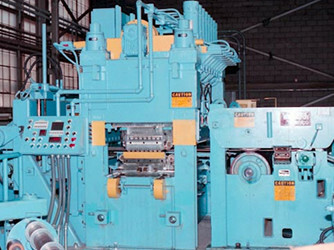 Case hardening is a common finishing technique as it hardens only the exterior of carbon steel, allowing a product to retain internal ductility but with a wear-resistant exterior case. 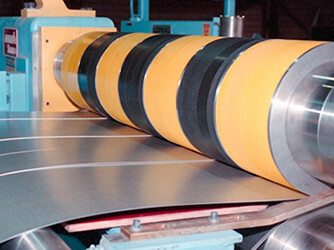 In addition to finishing treatments, considerations for carbon steel include dimensions such as outer diameter, inner diameter, length and thickness, which, along with carbon content levels, help determine production possibilities. Carbon Steel Carbon steel is a metal alloy composed primarily of iron with carbon being the second largest component, imparting hardness and strength to varying degrees dependent upon the amount present.